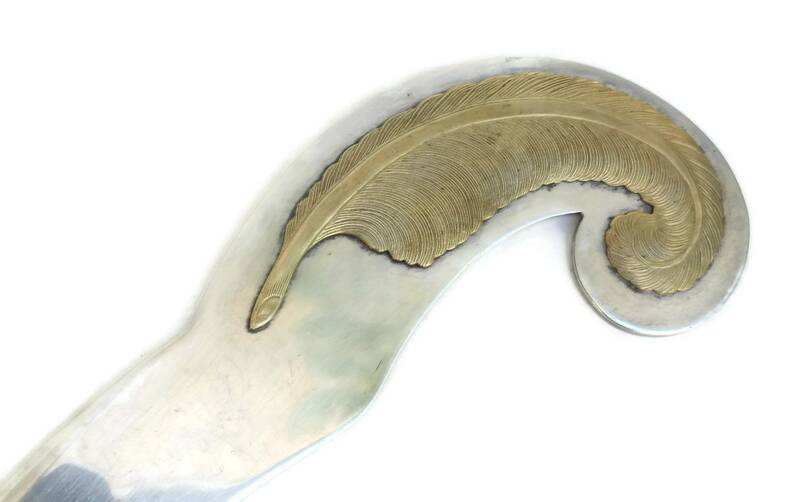 An elegant vintage silver letter opener decorated with a gold-tone feather. 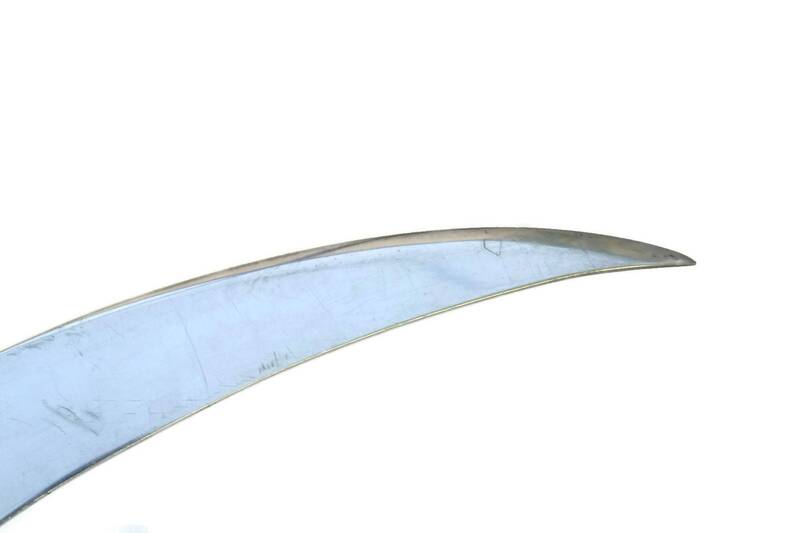 The large paper knife was created by the famous French silversmith Ravinet d'Enfert. 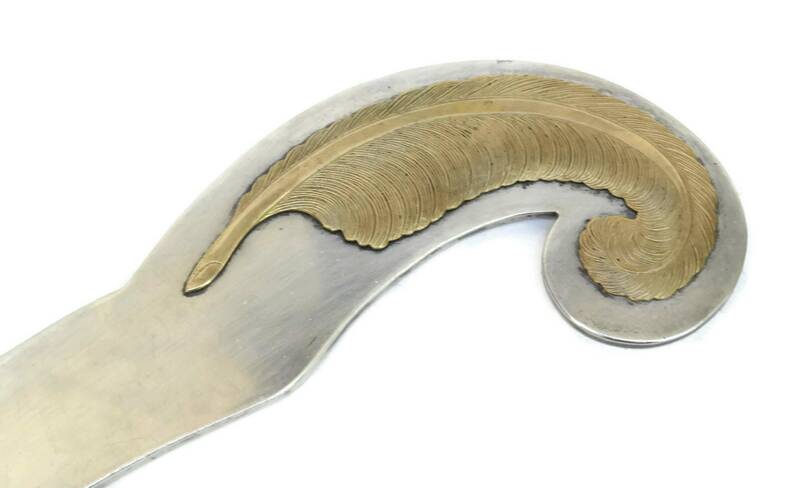 It has been manufactured from silver plated metal and decorated with an ornate feather in gold-tone metal. 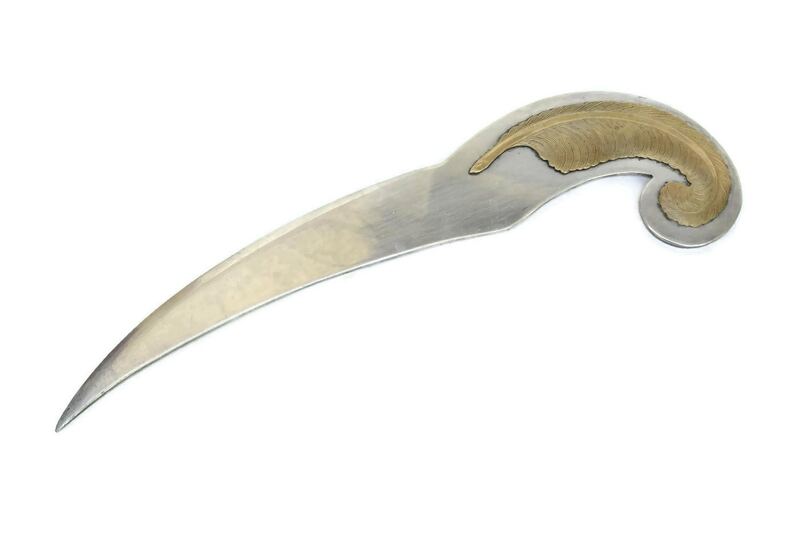 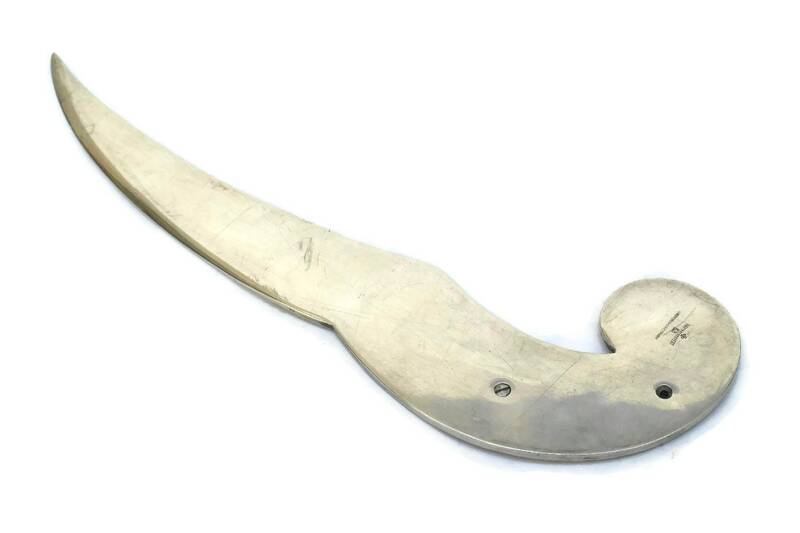 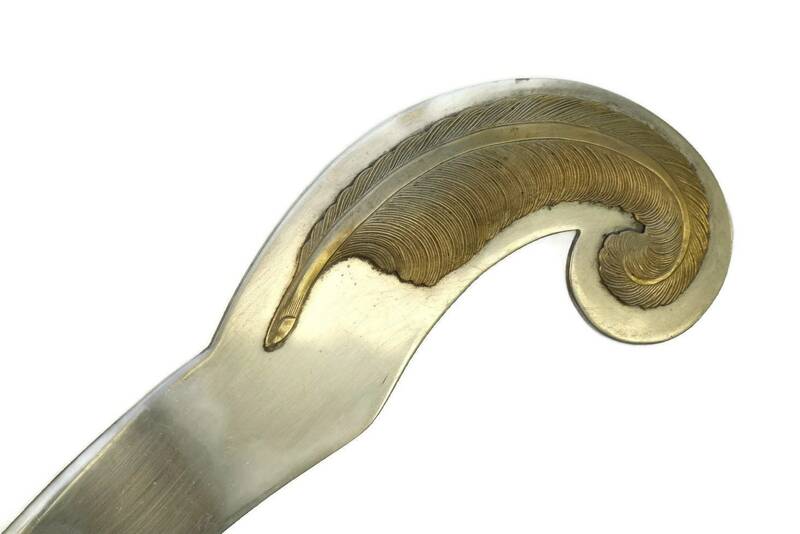 The letter opener has a stylish curved form and a relatively solid weight for its size. 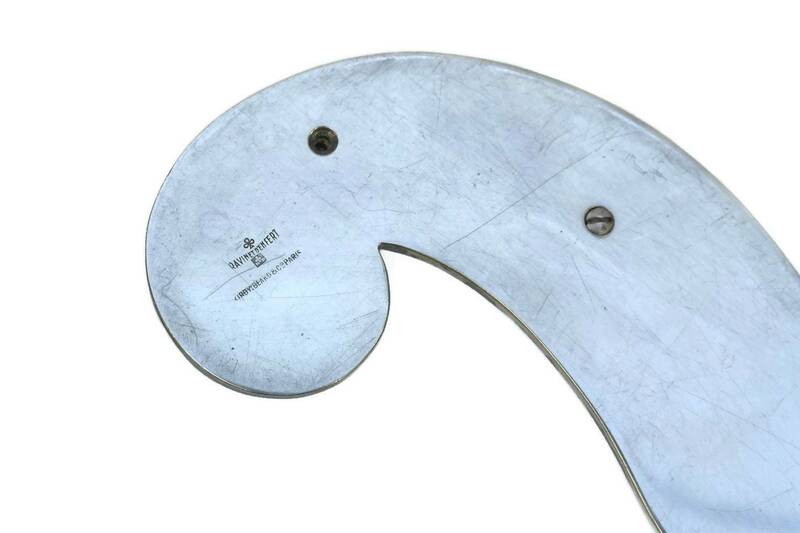 The reverse side has been stamped with the maker's mark. 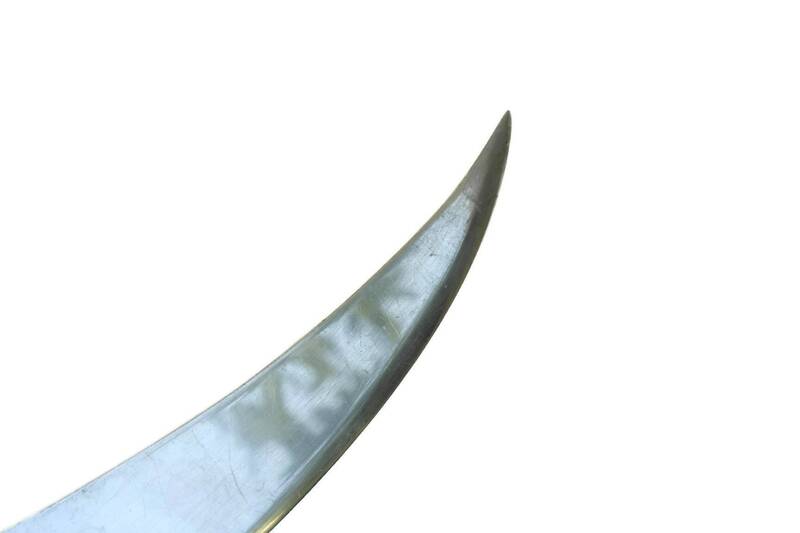 The paper knife is in good vintage condition with some signs of age and wear including surface marks and light scratches. 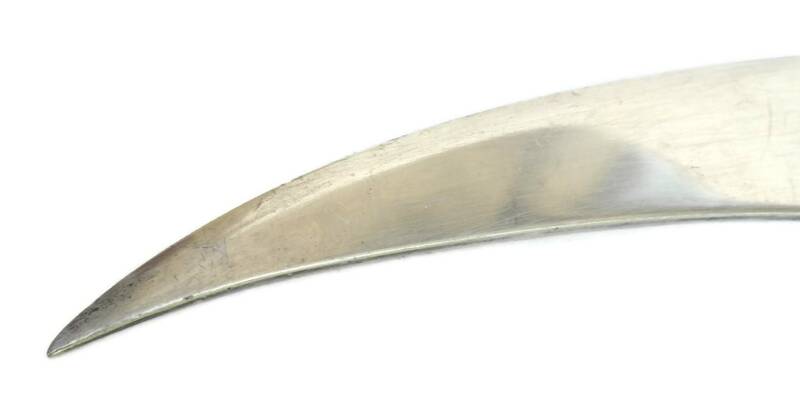 One of the small screws on the underside has been lost.